Carlton Avenue School has a clearly defined Emergency Plan that focuses on proper planning and action before, during, and after a severe earthquake or school-wide emergency. This plan is evaluated and updated annually. During an emergency, we ask for your cooperation and support in following our procedures. IMPORTANT: If you need to pick up your child in a declared emergency, you must bring your ID. 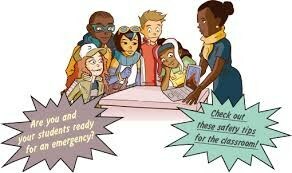 Carlton staff is trained in emergency procedures and we have emergency equipment at the school site. If you are able to pick up your child in an emergency, we can only release children to those people listed on the child's emergency card. The adult picking up the child must also show an ID so we can ensure the safety of all of our students.